Earlier last month we discussed a press release as part of the PR campaign promoting the Chiquita Banana Sticker Design Contest. That press release was written and distributed by Zenzi Communications, a San Diego-based marketing and PR agency founded in 2002. Today we’re looking at a second success story revolving around a press release. 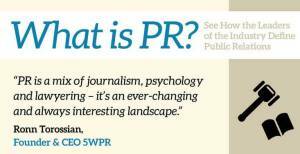 We’re proving the old-fashioned press release is not dead, but it is also crucial for the success of an online PR campaign. Today’s case study takes a look at a press release published this March by Coyne PR for Del Monte’s Pup-Peroni® dog snacks. The press release, brilliantly titled “Americans Confess – Wags Speak Louder Than Words” was part of a campaign that, to date, generated 1,179 stories, resulting in over 42.7 million media impressions. The official press release was distributed March 18, 2010, via Business Wire, and was supported with a matte release, which, according to Danielle Paleafico of Coyne PR, continues to be picked up by national and local media. Coyne PR engaged body language professional, Patti Wood, to bring the “Dogs Just Know” message to the public. Patti conveyed this message in a satellite media tour, using findings from the press release when she spoke with more than 25 broadcast TV and radio outlets. The data above shows how, a simple press release can translate to massive media exposure for a brand, with valuable effects on the long-term branding. Sure, Coyne PR had the advantage of working with a very popular brand needing no introduction. But I am confident they would bring similar results to any company. They have the skill, the industry knowledge, and the right contacts to assure their message goes where it should. For example, the Coyne PR pet team already employs a former “Today Show” producer and Reuters reporter. Even Coyne’s own online presence is testimony to a dedication few PR companies display. Coyne is a full-service integrated communications agency founded in 1991 and spent the first six months of the firm’s history doing pro bono work exclusively. He assisted with fundraising efforts for various individual during that time, helping with the costs of special needs, transplant surgery, and so much more. Coyne PR shows a bit of their low-key humor on the home page of their website – one of the scrolling pictures shows a the largest “coin” mosaic. Well punned! And yet another example of the pun they have at Coyne PR – Curses for Charity – Coyne Jar for the holidays during 2014, Coyne used an old water cooler water bottle for people to contribute their “coyness” whenever they cursed at the office. The change piled up, and they delivered over $1500 to one of the local Salvation Army bell ringers. But in all seriousness, we really hope they don’t swear nearly as much as it might seem from the video. Coyne created a fun work environment and culture with a game room off the employee kitchen, massage chairs, and a glass paned automatic garage door for entry. They encourage support of various charitable causes by offering their professional services, time, energy, and … um as mentioned above, curses.